It's HUMP day today!!! And, Happy Halloween! 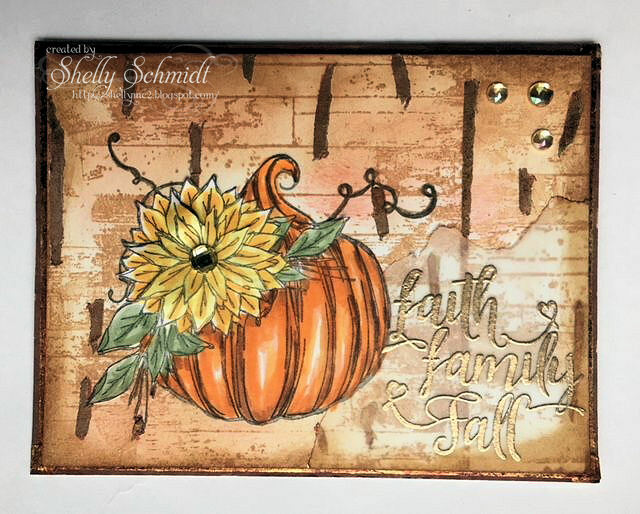 I stamped the pumpkin twice and the sentiment once from the Unity set Faith Family Fall using Black Nuvo Hybrid ink. Next, on a fresh piece of cardstock, I stamped the Barn Wall image in Distress ink. The pumpkin image is stamped on the base cardstock, and layered with a fussy cut image that is colored with Copics. The flower top was cut from yet another image that was fussy cut after coloring it in. I sponged a touch of Distress ink on the panel and around the edges and added a touch of an orange shade on it as well. For the foiling, I took 1/4" score tape and ripped it, added some ripped pieces to random spots on the background. I used Gold foil that was colored with an E7 Copic marker and added the foil to the areas where there was tape. Next, I added 1/4" score tape to the paremeter of the card, leaving a mere 1/16" on the edge. That foil is also gold colored with E7 Copic marker. On the edge, I colored a border with E37 Copic. I added jewels to the card. 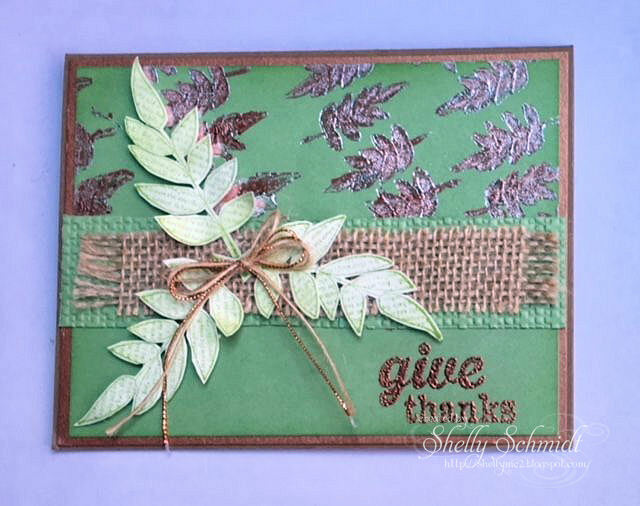 The sentiment is embossed with Ranger Queens Gold EP on Vellum, and added to the corner of the card. Next, I used foil with dies. The image was colored with Copics. I so love this sweet image!!! 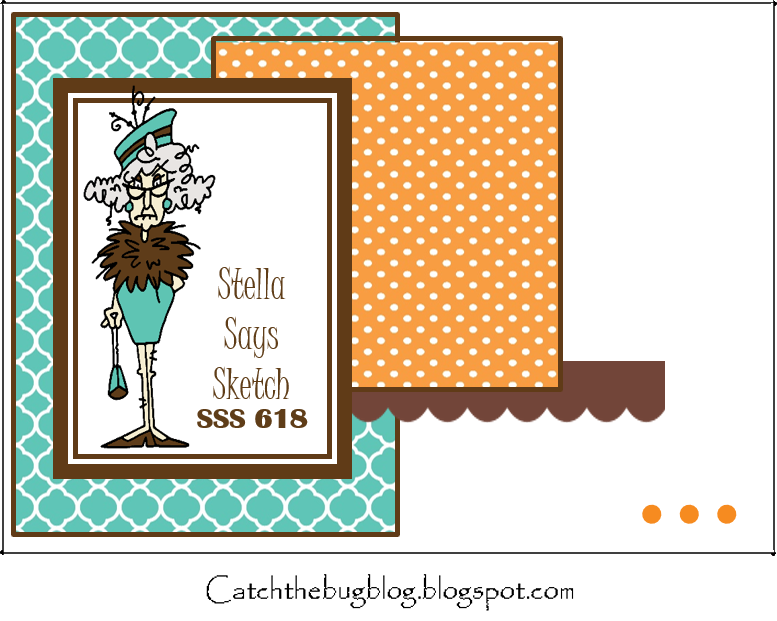 And, a sampling of a die cut with double sided tape and a die (Lawn Fawn). 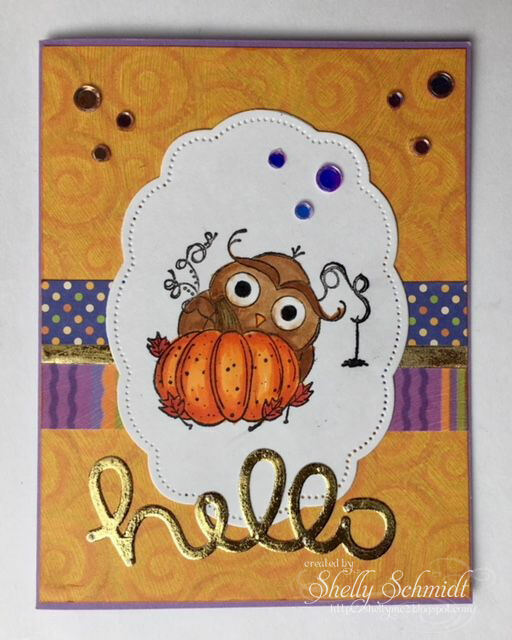 The image Hello Pumpkin was stamped in Black Nuvo Hybrid ink. It is colored with Copics, I cut it out using Gina Marie dies. The Lawn Fawn Hello die was cut out with double sided adhesive on the cardstock. The foil was burnished over the adhesive. Did you also notice the center strip I added under the image? It is a strip of 1/4" sticky tape- with gold foil burnished over it. Fun accent, huh? 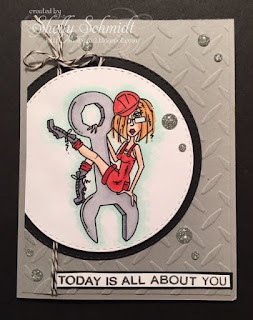 Nice way to add bling to your card and still let the image be center stage! 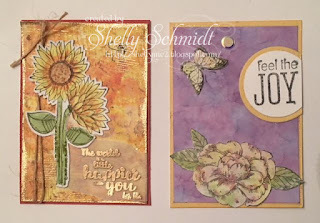 I used the Deco Foil transfer gel today to stamp my images and then foil them. I did not throw it out though, opportunity for creativity, right??? I sponged around the image with distress ink, then restamped the image and fussy cut it out. 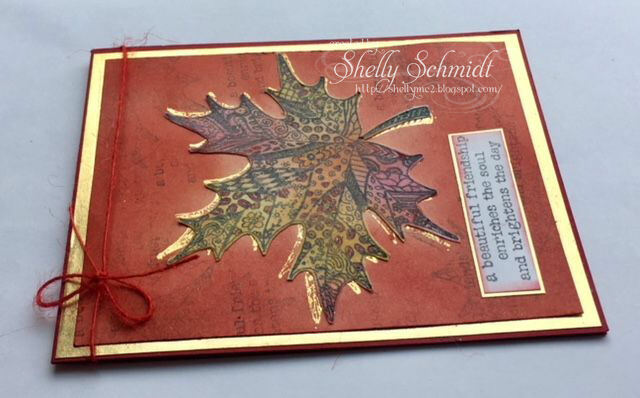 After adding some color, I stamped Versamark over the top and embossed over the top with clear EP. I placed it over the foiled leaf, and offset it a touch so the foil peeked out. I think it turned out OK afterall...... 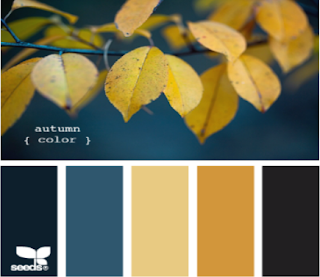 This Unity set is called Full of Fall. 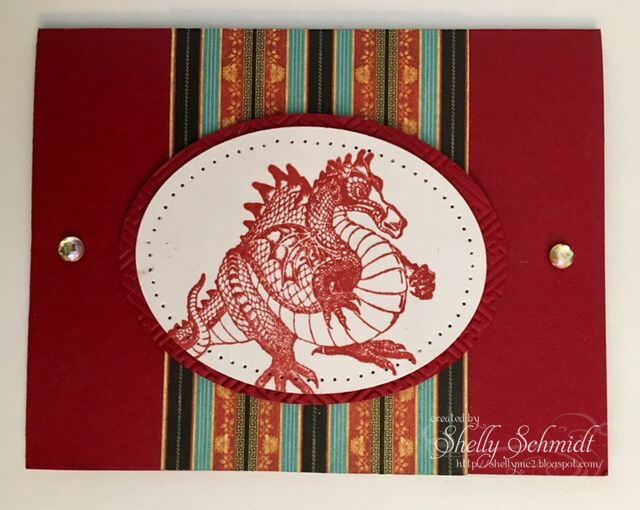 The cardstock is SU Real Red and a metallic gold. So, a challenge is something I cannot resist. I tried a second time to foil the leaf image, and this time- success! 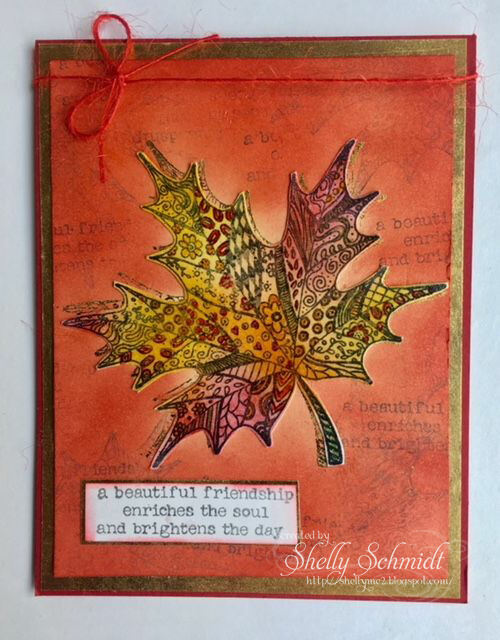 I added some color to the center using an Arteza color brush and outlined the leaf to try to make it stand out. Much prettier IRL, so hard to photograph the shimmery foil! I used layers and layers of Distress Inks on the background. I stamped a few images (from a Unity Grab bag : ) ) on the background. The sentiment is embossed with Ranger Queens Gold EP. 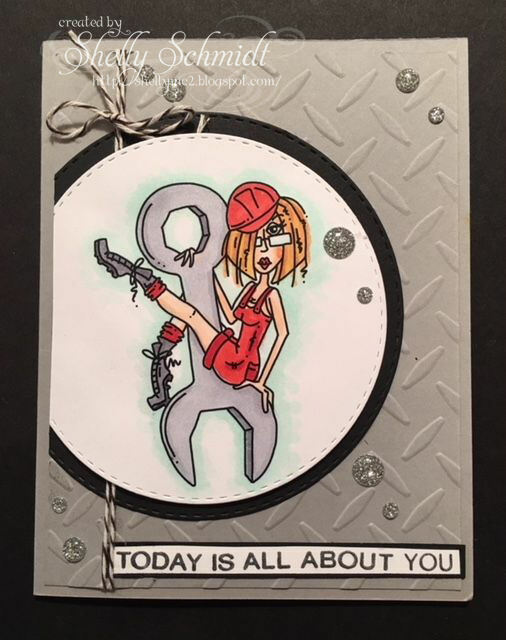 Love, love this card IRL!!! 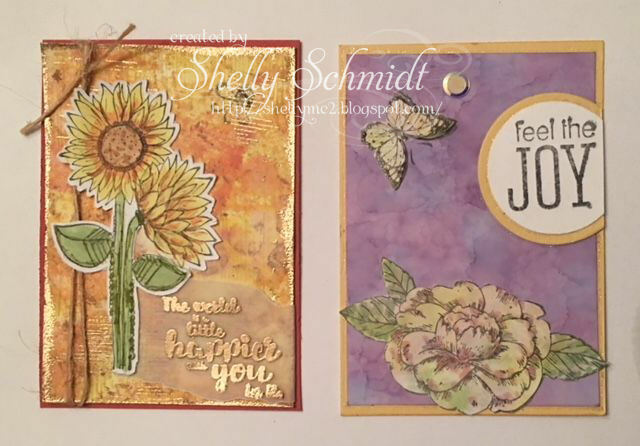 The cardstock is SU Cherry Cobbler and I used a gold metallic cardstock from the stash. Cardstock is SU Wild Wasabi and Copper. HERE is a link for the Day 1 post if you missed it. This is my first time doing a week of Growing In Unity, aka GIU with Unity Stamps. I love to try different things and try new techniques. So, I decided this week to create using Foils! I have most of the supplies, just need to use them : ) Unity has just added Foils and accessories to their store HERE. For Day One, I have used a simple toner sheet (This is from Gina K from last year- I do not see it available now). Terribly hard to photograph the shine and beauty of the foils, but I did my best!!! The toner sheets go through a laminator with the foil and it adheres to the design. It is a stunning effect and very addictive....lol . Designers Gina K and Gracie Chavez both work with alot of decofoil products and have video links on their blogs. On the toner sheets, you can add color just like regular cardstock- right over the foil. . 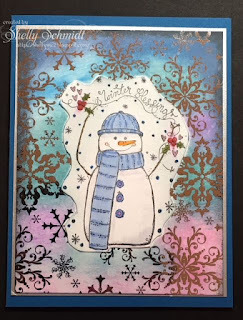 I added a variety of Distress inks and Distress Oxide inks on this background. This image is Winter Frosty. I colored it using Copics. I stamped the image and cut around it then glued it onto the background. I took the remaining foil from the project above, and used it on a second card. This is Joy girl- I love this stamp! I added double sided adhesive to cardstock and burnished the foil down, then ran it through the laminator. The foil I used from project one had 'blank' areas where the foil was used on the 1st project in the shape of the snowflakes. Those areas will be sticky from the adhesive on the cardstock. So, I sprinkled snowflake glitter on those areas (Sparkle and Sprinkle). The image was colored with Copics and paper piecing for her shirt and hat. 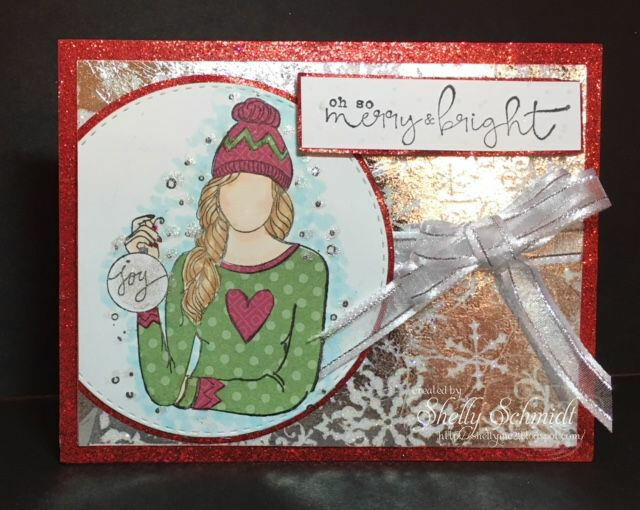 I added shimmer to the ornament and the hat using Wink of Stella. I will be posting daily this week using foiling techniques. You do NOT need a laminator to apply the foil- stay tuned! 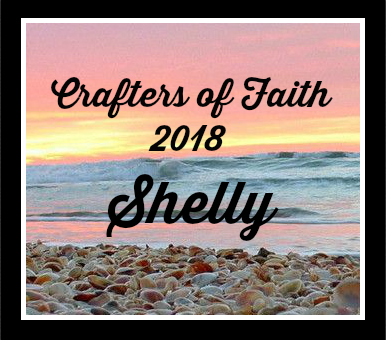 Thank You to Unity for giving me the opportunity to create using their images this week- I am like a kid in a candy store- so hard to choose which images to use to create with!!! And, did I mention I have an item or two to give away as well? 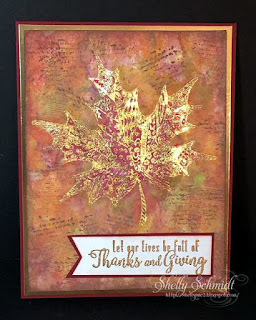 In your comments, tell me- Have you tried foiling yet??? I love supporting American made companies like Unity! It's a two-fer today! I am posting a Halloween card for CYS (Challenge Your Stash), and I made a card for the Bugaboo Stella Says Sketch challenge using my Halloween image and (long) cherished DP! I have a stack of Fall DP that I never ever use, well...it collects dust...lol. I flipped through it and was surprised it had some cute and fun Halloween DP in it. 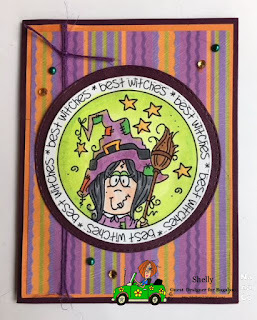 The Bugaboo Halloween Brat Witch image is colored with Copics then fussy cut out. 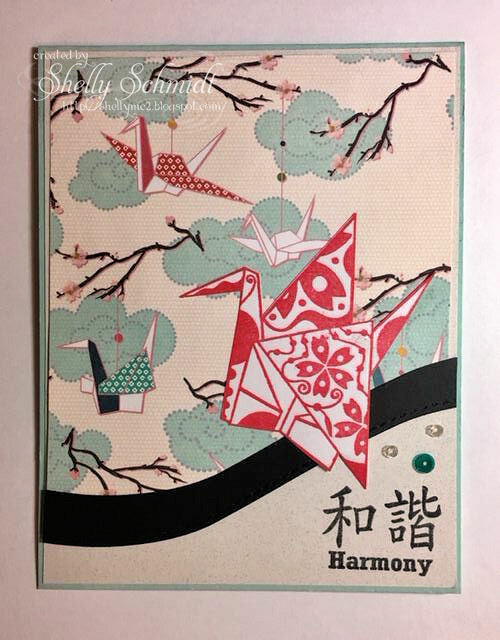 I found coordinating DP in the stack, and it took me forever to find the right combo if papers and colors I liked, but there you go- fun and whimsical. I used a sentiment from the base DP for the sketch element. The CYS group can be located here. List mom Barb had the brilliant idea- lets use our stash items- with a monthly theme, I am sure finding no shortage of items to use in my creative space for this challenge...!!! Even those in the 'get rid of ' pile....... 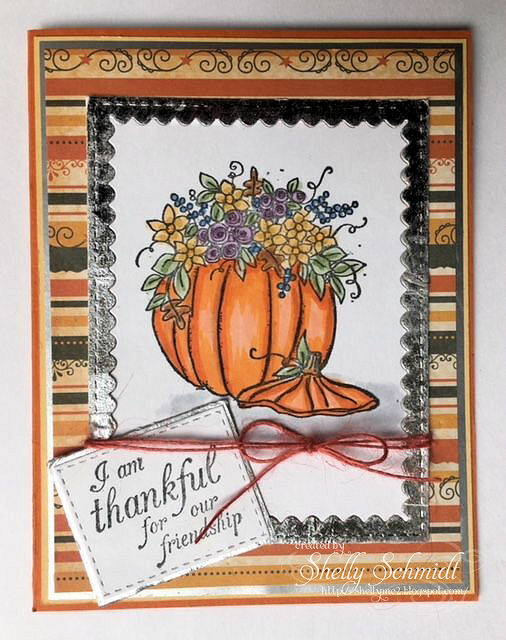 HERE is a link to all of the October Cards at Splitcoaststampers for this challenge. The Bugaboo challenge today is a color challenge. I usually shy away from color challenges- I find them hard, but today I needed a card so thought I would take the challenge on! I used Navy as the card base, which is cut to 5.25" x 5.25" . I colored the image with Copic markers. 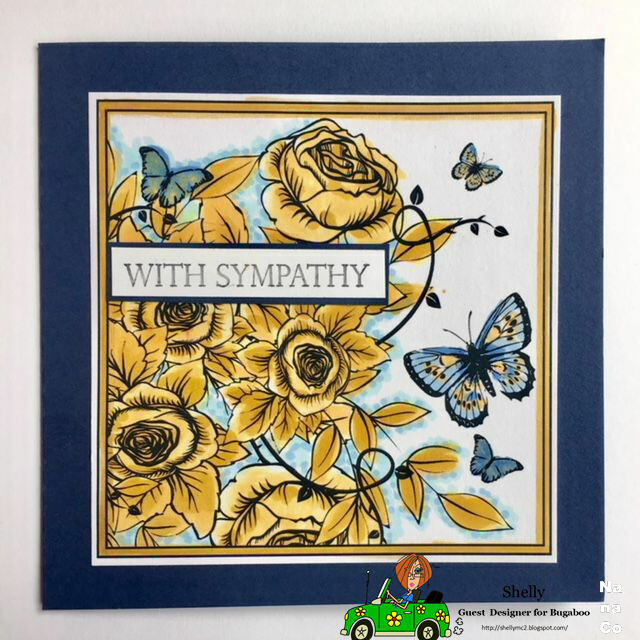 The Sympathy sentiment is Unity/Gina K.
I added just a touch of Wink of Stella to the border and a tiny dab on the butterflies. 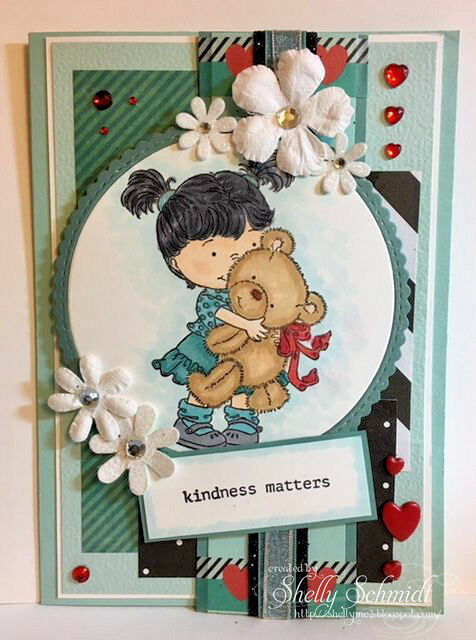 Whoops- dealing with some back issues and did not publish my Tuesday Throwdown post.... We are creating with the theme of Crazy Circles this week, and our sponsor is Newtons Nook! It is my first time creating with their stamps, and I had so much fun! Yep, I had so much fun, I made two cards! I used the stamp set Whispering Pines I used Daniel Smith watercolors to create the background, then added circles with an ancient circle set by SU in Not Quite Navy ink. I also added snowflakes with white in from Gina K Designs. I just love the pup and the cat images in the set. There is shimmer on the bottom of the card to mimic snow. Doesn't this look like a beautiful peaceful setting! Or a place where the guys would go to hunt in the winter? 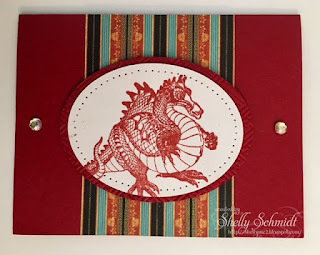 I do a monthly sketch challenge for the About Oriental Stamp Art (AOSA) Yahoo group. For the August Sketch, I found this crane themed DP and went with it.... 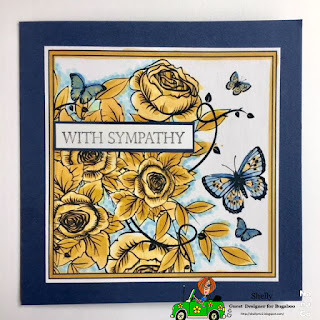 I used a retired Michael Strong stamp and the sentiment from a MFP set. 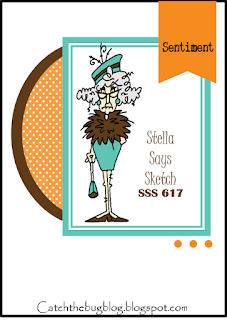 A quick CAS card using an "Oldie' image from Bugaboo! The image is called Birthday Bird. I colored using Copics. The sentiment is SU. The die is from Gina Marie. I added a simple strip of Washi and a few sequins. For the October Duel our theme is Kindness : ) Jeanette (Dazzlers) and Kelly (Divas) are our hostesses. 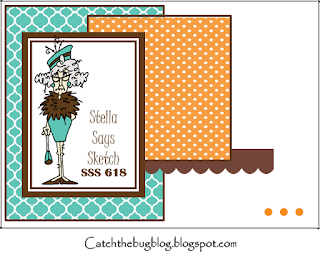 I used the Sketch at 2 Sisters on the blog to get me started. I used all of the DP's except for one and one of the Washi tape samples. I just love this sweet image and theme! Ribbons-Amuse Silver Organdy, Crafters Square Black Glitter and Ribbon Boutique Turquoise. There was a 'Kind' die from SSS that I did not use, will use on a future project! I think my favorite challenges are Sketch Challenges! So, I had to make up a card with the Stella Says Sketch challenge 617. For the last Unity ATC exchange, I had a fun time creating using alcohol inks and Distress inks. For the ATC n the left, I made a 'masterboard' using the entire 8 1/2" x 11" sheet of cardstock. I sponged on a variety of Distress inks in fall colors, added stamping and dabbed some brown on bubble wrap, then added some gold embossing. 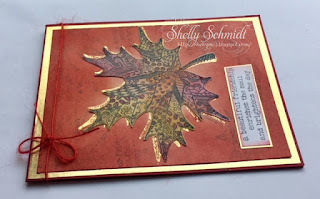 I decided to add gold embossing around the edges of the ATC as well. The sunflower set was a freebie from Unity last year , it included this sentiment. I added the sentiment on vellum. It's time for the Friday Freebie at Bugaboo! How fun is this cute witch? 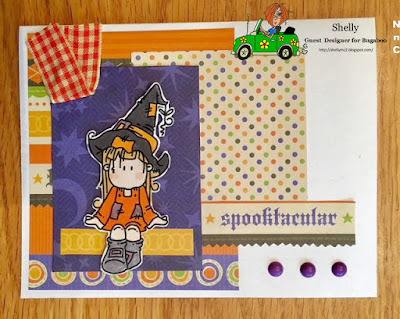 Just in time to make your Halloween cards! I added so much shimmer to this card the purple circle behind the image is covered with Wink of Stella : ) The image is colored with Copic markers. I left it nice and CAS! Today is a new release at Bugaboo- and it is a sweet one!!! And, it is also Anything Goes at Tuesday Throwdown, so a twofer for me!!! This sweet group of playful pups- I colored the image with Copics. I added an embossed background with puppy paws all over it. I die cut the image and added a bit of twine and the sentiment. 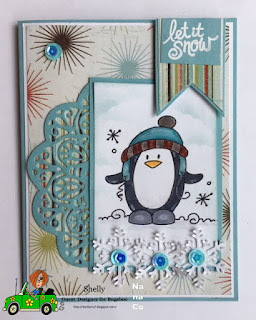 I punched out a scalloped oval die and sponged Soft Sky onto the top for the fluffy sky. I have an Aunt that passed away a few years ago, and I had a few experiences where I would think of her and butterflies would flutter around or near me. So, when I saw this sweet image, I thought of her....and, unfortunately a neighbor as well. A neighbor lost her young son a few weeks ago, When we first met, we would be out walking our dogs in the neighborhood. We knew each other by the names of our dogs for the longest time! (I was Peanut's Mom). 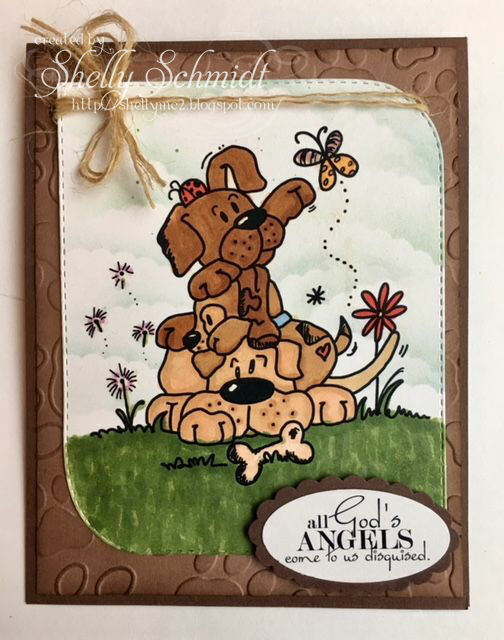 Anyway the pups and the butterfly are why I used this sentiment, which is by Create with TLC, and I will give this to the neighbor in memory of her son. Stop on by Tuesday Throwdown to see what the other DT members have created -link HERE. The Catch the Bug DT post is HERE . scripture: Luke 11:9 "Ask and it shall be given to you, Seek and ye shall find, Knock and it shall be opened onto you." 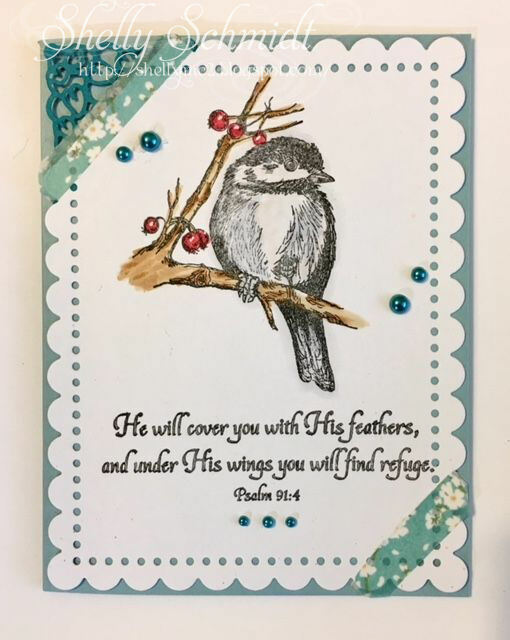 challenge: Use stamp or something that was given to you by someone, use something you find in your stash, and create something that can be opened (like a card, a box, or open your Bible and do a journal page). This is Our Daily Bread Chickadee image. I colored the image with Copics. 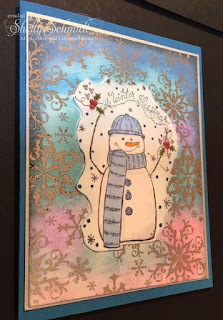 I used a Cheery Lynn corner die. The border die - I did not mark it, so not sure who makes it. 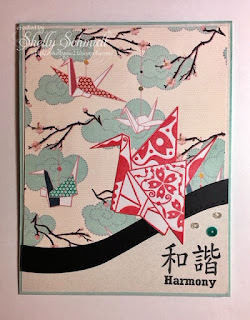 I added some Washi in 2 corners, then embellished with pearls by Kaiser craft. Cardstock is SU. 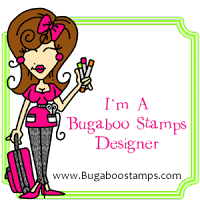 I am joining Bugaboo as a Guest Designer through January : ) I am very excited, as I love Bugaboo images and have a huge collection of them : ) For my initial post, I am using the Friday Freebie available today. I left this pretty CAS, I embossed the background, added the image and (colored with Copics) in stitched circle dies by Memory box. I added a few Eyelet Outlet shimmery dots in silver and a touch of twine timed in a bow. 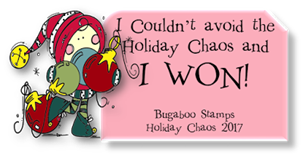 You can grab this freebie HERE in the Bugaboo Store. 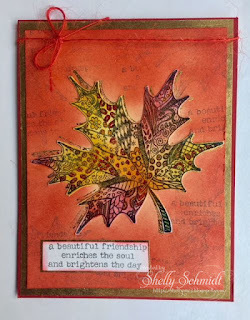 For inspiration for using this image on a card, check out the Catch the Bug challenge blog HERE.